The video is a mix of live footage and a dramatic story-line. In it, a man is seen going to the wedding of his ex, and that action is spliced together with clips of the band performing live as the “wedding band” as attendees dance along. “Everything’s Wrong” is streaming via RevolverMag.com. Jason Richardson is seen playing guitar in the video. 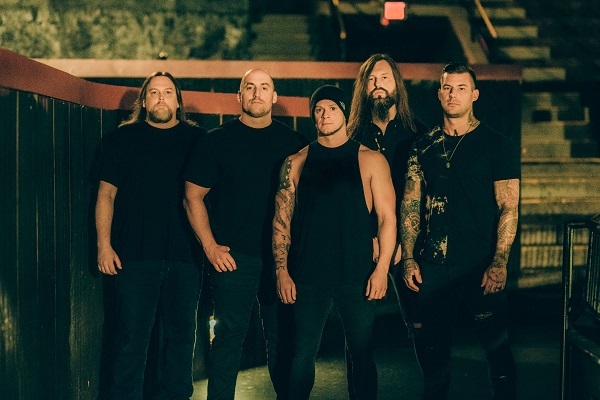 He joined All That Remains after the tragic death of original member Oli Herbert, who passed away right before “Victim of the New Disease” was released. All That Remains is currently on the road, touring with fellow rock acts Escape the Fate and Attila. The band currently has a handful of tour dates scheduled through August. To find upcoming tour dates, go here.